Church of St. Peter in Gallicantu. Jerusalem. Photo by Leon Mauldin. 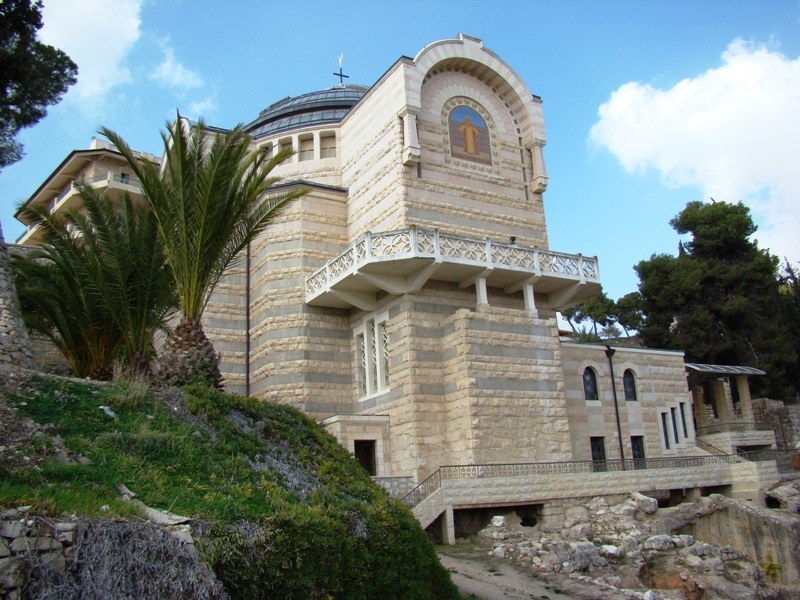 Note the steps leading up to the church. 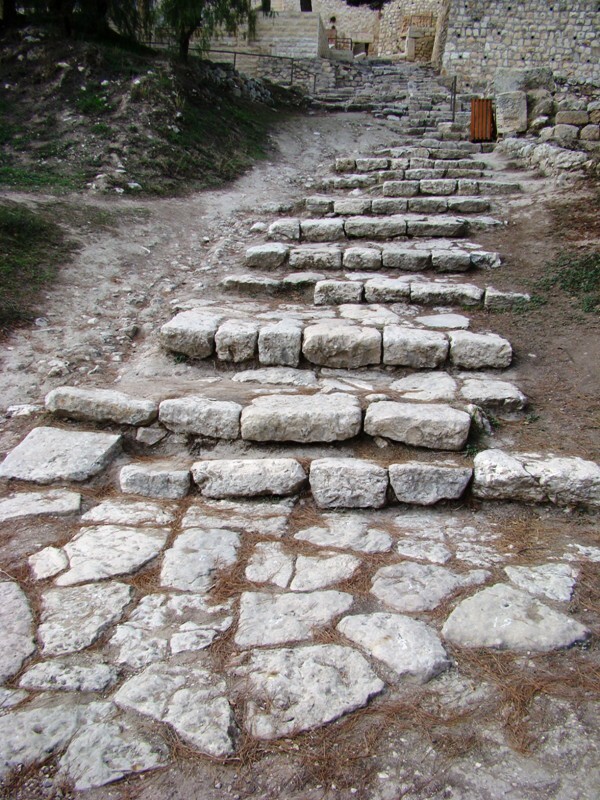 Steps leading to Gallicantu. Photo by Leon Mauldin. 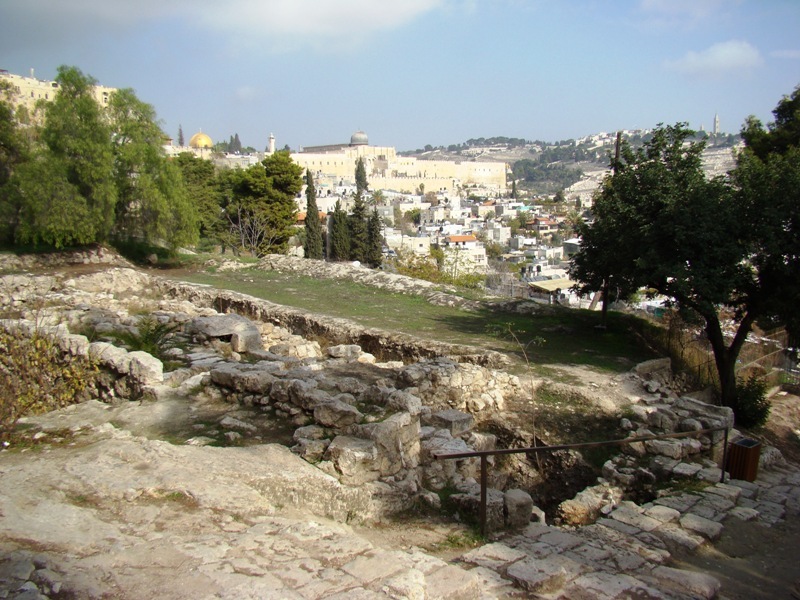 The value of this view is that of helping us visualized Jesus being led to the house of the High Priest, for that unforgettable night when, “He was led away after an unjust trial– but who even cared? Indeed, he was cut off from the land of the living; because of the rebellion of his own people he was wounded” (Isa. 53:8, NET). 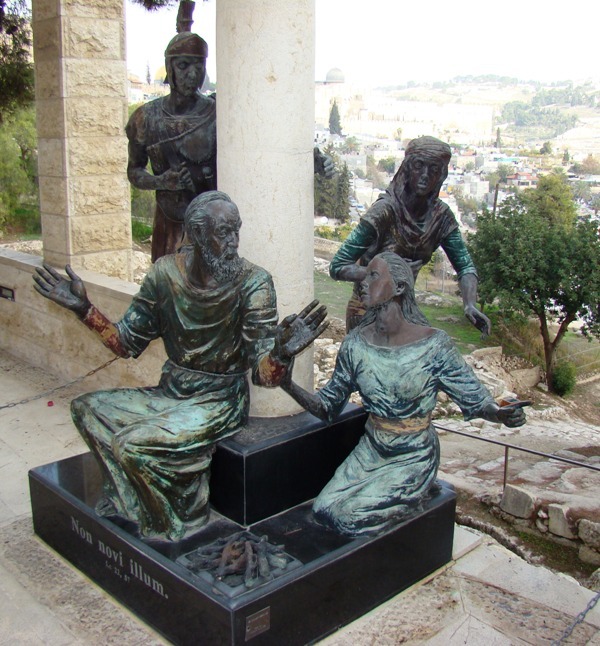 There is imagery on the site to remind the visitor of Peter’s denial. Peter denies the Lord. Photo by Leon Mauldin. This is a representation of Peter, denying his discipleship of Jesus to a maid. Behind, as soldier stands. What a warning–how easy it is to let down one’s guard and do the unthinkable. Later Peter would warn others about our Adversary, the Devil (1 Pet. 5:8). View from Gallicantu toward temple area. Photo by Leon Mauldin. 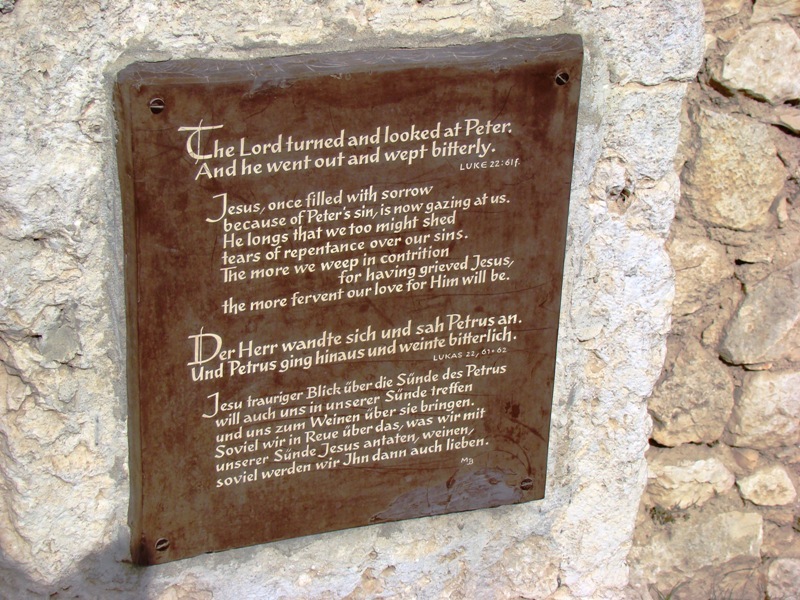 Sign commemorating Peter's Denial. Photo by Leon Mauldin. You are currently browsing the Leon's Message Board blog archives for the day Friday, February 25th, 2011.